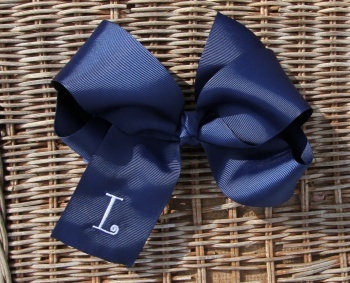 This is a very large solid navy bow. This is a 2.25" grosgrain ribbon that has a French knot in the center and is attached to a French clip. 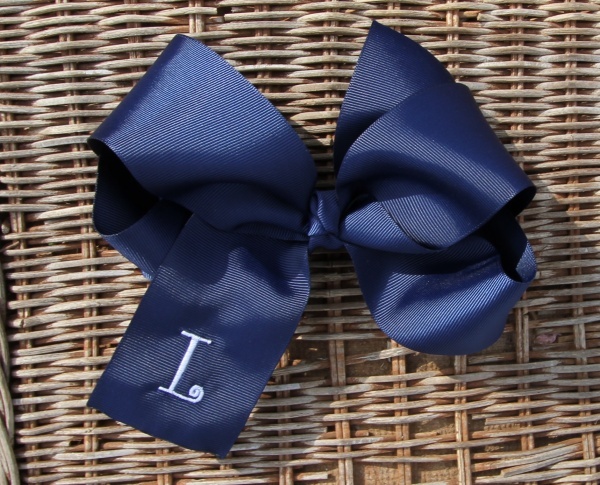 This is a dark navy color and is great for school spirit days and of course to match all your navy outfits. Get this embroidered as shown above, pick your color for the one inch first initial that can be added to the front tail.